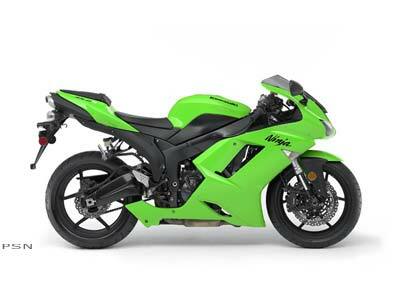 KAWASAKI’S 2007 NINJA® ZX™-6R DELIVERS 600-CLASS POWER WITH HANDLING INSPIRED BY 125 GP MACHINES. Quicker and more exciting than any middleweight Ninja sportbike in history. Designed to place its rider on the top step of the podium, the new Ninja® ZX™-6R sportbike elevates 600-class power and handling to the next level. Considering the stellar capabilities of last year’s ZX-6R, Kawasaki’s designers knew it would take a special combination of middleweight power and nimble handling characteristics if they were to make the next leap in middleweight performance. To hone the incredible new machine into an exciting racetrack weapon, Kawasaki appointed a former 125 cc Grand Prix racer as the ZX-6R’s chief development rider. The result is an all-new 600 capable of cornering speeds previously unknown to the middleweight class while retaining the wide spread of power that is pure Ninja. To be quickest around the racetrack a motorcycle requires a wide powerband and plenty of over-rev. The ZX-6R’s all-new engine was redesigned from the crankcase up for the first time in ten years, leading to an ultra-high-rpm powerplant that produces more mid-range torque than any of its predecessors. The result is a fat powerband with a linear torque curve for hard-hitting acceleration across the entire rev range. The Ninja ZX-6R’s impressive over-rev capability mimics a true race bike, allowing riders to stay on the gas where lower-revving machines are forced to shift. 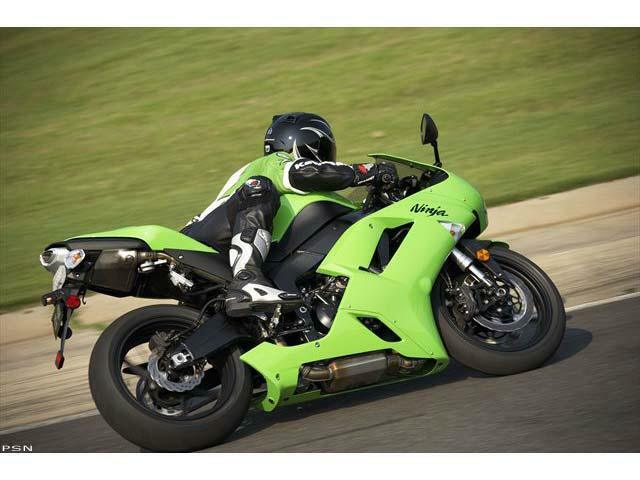 The Ninja ZX-6R’s all-new engine was also specially designed to reduce internal friction. That’s because low-friction engines tend to be more responsive, making it easier for the rider to modify cornering lines with minor throttle adjustments. The new engine components were also made stronger, stiffer and more compact, resulting in an engine which is about 40 mm smaller in both width and length than its predecessors. This compact engine allowed the chassis designers to create a slim and compact chassis. 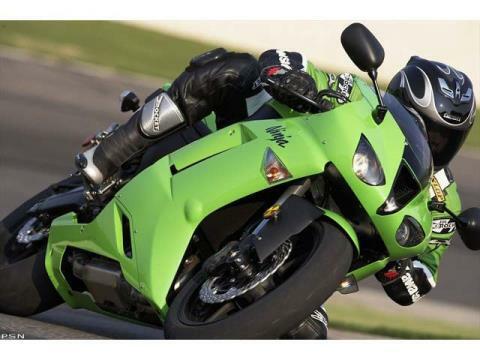 Other racing technology includes a close-ratio cassette transmission that makes it easy to keep the Ninja ZX-6R screaming at its horsepower peak and a slipper clutch which allows quicker downshifts without upsetting the rest of the chassis.